Congratulations to the beautiful Tina Knowles! 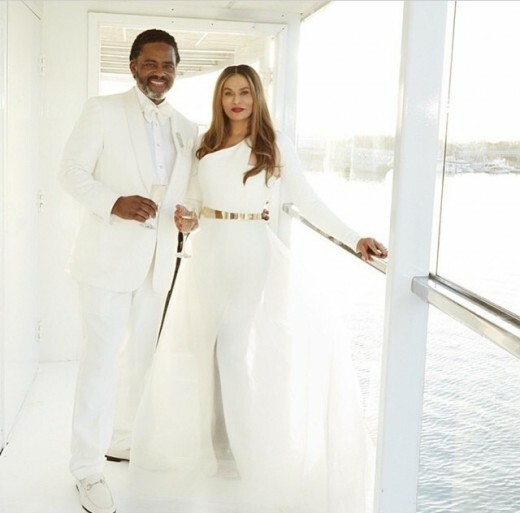 The mother of the talented, Beyonce and Solange, married her longtime beaux Richard Lawson. The couple had a low-key wedding on a 140-foot yacht in California. The fashion designer followed suit of her son-in-law, Alan Ferguson, and youngest daughter’s wedding, and had an all white wedding. Both her daughters and their family were in attendance. I’m super happy for the new bride and she looked gorgeous standing next to her husband! There’s nothing like #blacklove. Former Destiny’s Child Member Farrah Franklin Arrested!